Female Yosemite toad, Bufo canorus, resting in shallow water in a high elevation meadow in California's Sierra Nevada mountains. 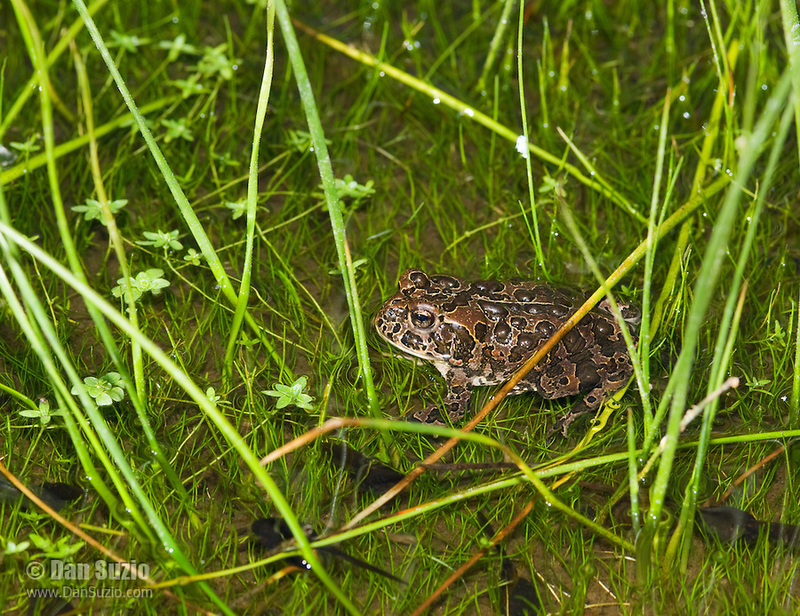 Once widespread in the high Sierra, since the 1980s Yosemite toads have disappeared or severely declined in over 50% of their former range, and now survive only in a handful of wet meadows. The toad is listed as a Species of Special Concern under the Federal Endangered Species Act as well as by the State of California, and is listed as Endangered by the IUCN.